Despite the Cleveland Cavaliers and Golden State Warriors having a week off before the start of the 2015 NBA Finals, the championship odds have continued to move. But the No. 1 seed in the Western Conference has remained the favorite to win the title, and that hasn’t changed on the day of Game 1. Cleveland is a consensus +190 underdog in Las Vegas, despite having breezed through the Eastern Conference playoffs with a 12-2 record. Golden State is a -220 favorite, having led the NBA with 67 regular-season wins. It’s no surprise that the Cavs are in this position. Cleveland became the favorite to win the championship when they signed LeBron James in July, even before making the trade for Kevin Love. Cleveland’s 5/2 championship odds at the start of the 2014-2015 season were just ahead of the San Antonio Spurs and Oklahoma City Thunder for best in the NBA. 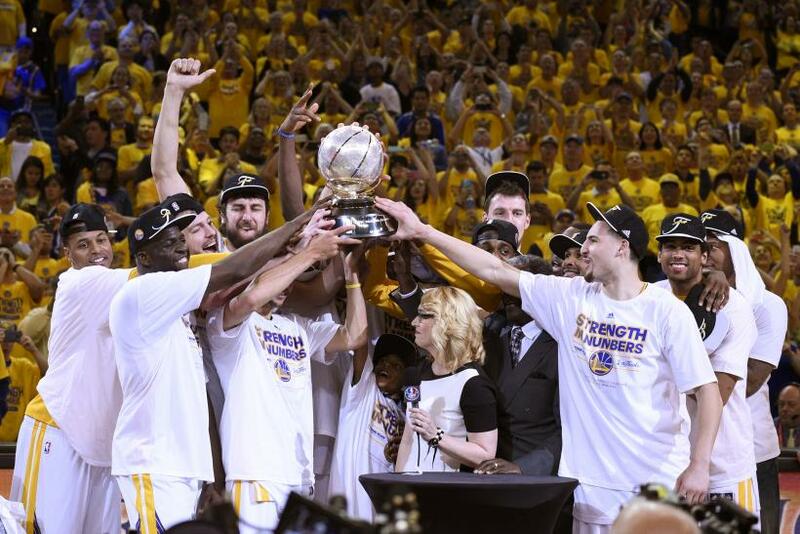 The Warriors were expected to be a playoff team, following their 51-win season last year. But with a first-year head coach, three other teams in the West had better championship odds. At 25/1, the Warriors were not one of the favorites to win the NBA Finals. Much of the early money was on the Cavaliers, who have seen their betting odds improve since the NBA Finals matchup was made. Last week, Golden State was a -250 favorite, giving them a projected 69 percent chance of becoming this year’s champions. Sports books are rooting for the Warriors to win the series, but the public has backed James, who will play in his fifth consecutive NBA Finals. No player on Golden State has NBA Finals experience, and the 1991 Chicago Bulls were the last team to win the title with such a roster. All of the online sports books have favor Golden State, but Cleveland’s odds are slightly better elsewhere than they are in Las Vegas. The Cavs’ best odds are at Bovada.lv, where they are a +170 underdog and the Warriors are a -200 favorite. Sportsbook.ag has given Cleveland +180 odds and Golden State -215 odds. Bet Online favors the Warriors slightly more than Las Vegas, giving them -225 odds and the Cavs +195 odds. Both the Cavs and Warriors have played about as expected in the postseason. Cleveland has covered eight of 14 point spreads, while the Warriors are one game under .500 against the spread, though they’ve won 12 of their 15 games outright.